Tip #8 – Assign an unbiased spotter, such as an administrator or parent leader, to sit in the stands and report any suspected head injury to the athletic trainer. Concussions and head injuries occur in many sports, even from simple slip-and-falls at home. But when someone suffers a concussion from tripping over a toy or falling off his bike, it is unlikely that he’ll get another one soon after. In the sport of football, this is too often the case. 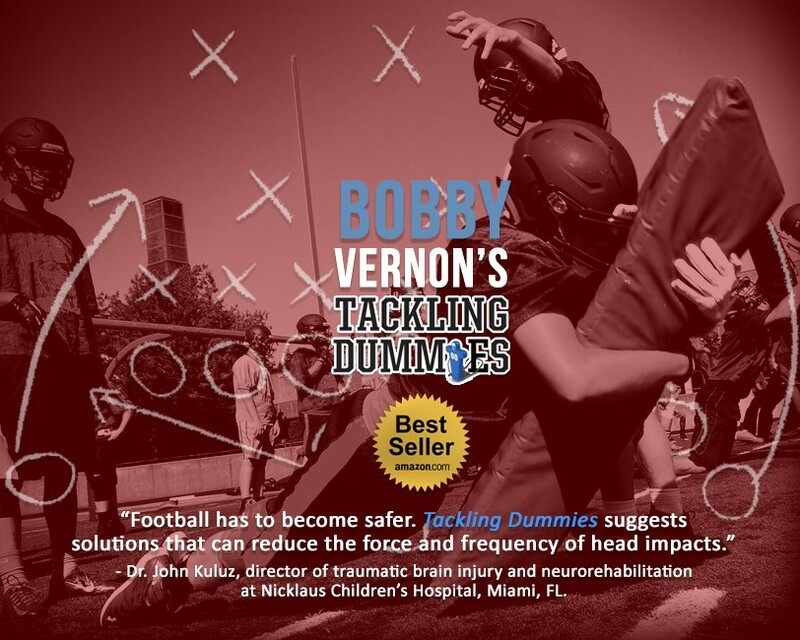 More needs to be done to prevent avoidable concussions: those resulting from the intentional use of the head or the targeting of another player’s head in the heat of the game. Better tackling technique is a good start. Getting the information out is important. But what will make a huge impact on this problem is an increased focus on concussion treatment and the prevention of a second concussion at the high school and youth levels. What every high school and youth football team needs, in addition to a certified athletic trainer, is one or two people specifically appointed to watch the field for significant hits to the head and immediately report them to the medical trainer. Besides the fact that they are preoccupied with their many duties, it is impossible for coaches and trainers to see everything from the sideline. A non-coach, perhaps a school administrator or even a parent leader, should be watching from the stands and alerting the medical trainer and coaches immediately when a player is observed to have sustained a direct hit to the head that may have caused some trauma. Please share these tips with coaches, parents, players, and any fan of the game!